I've just updated my rear shock to a Nitron R1 (today actually !) and now I have the old one for sale, it has around 20,000 klm's on it since it was overhauled and upgraded by ProMeccha http://www.promecha.com.au/ here in Melbourne with new upgraded valves etc, spring is the standard. This upgrade along with the forks transformed the bike so rather than just let it gather dust I thought perhaps someone might want it. Price $100, and if it needs to be shipped than that would be extra of course. PM me if your interested. Would be interested in your thoughts on buying a Nitron v a ProMecha revalved unit. You are further down the path I’m on.... I already have the standard Suzuki forks re-valved by ProMecha and after a ride around Mangrove Mountain and back via Wisemans Ferry and Glenorie.... I am very happy with the forks but need better dampening at the rear. Now that you have the Nitron...do you feel that you need to upgrade your front end to match the improved new shock? Or is the ProMecha revalved suspension - front and rear - good enough for real world use? 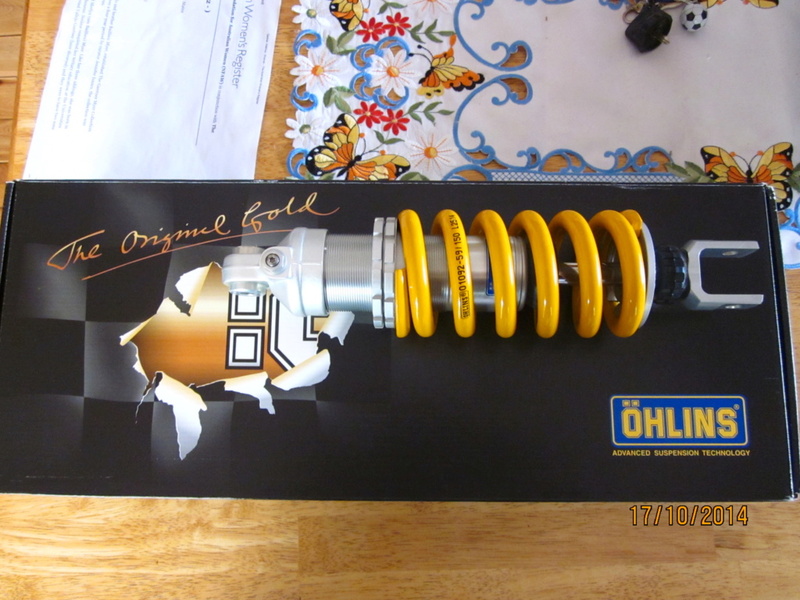 I put an Ohlins on the rear of the Bandit 1250S back in 2014 when the exchange rate was extremely good. Even then, it wasn't cheap (around $900) but it certainly was transformational. At the current exchange rate, you'd need to mortgage your house.